In the world of jazz, Gene Perla is a living legend, having recorded and shared the stage with such icons as Miles Davis, Sonny Rollins, Sarah Vaughan, Chick Corea, Nina Simone, Dizzy Gillespie, Frank Sinatra, Joni Mitchell, Buddy Rich, Elvin Jones and Jack DeJohnette. Originally from Woodcliff Lake, NJ, Perla first studied classical piano for ten years. While attending the University of Toledo as an engineering major, he realized that it was music he wanted to do and enrolled in both Boston's Berklee School of Music and Boston Conservatory. 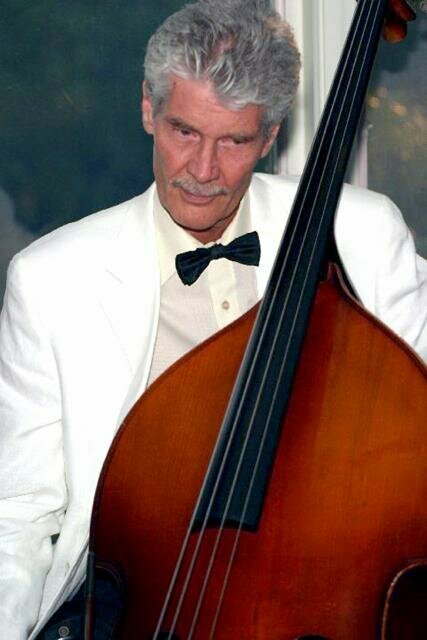 At age 24 he began playing the double-bass. When the electric bass was first embraced by rock music in the mid-1960's with such bass pioneers as The Who's John Entwistle, Yes' Chris Squire and Cream's Jack Bruce, Perla was one of the first jazz, upright acoustic bass players to embrace the electric bass and realize its' vast possibilities within a jazz context. During the 70's Perla founded the jazz record labels PM (for Post Meridian) and later Plug Records which recorded such artists as David Liebman, Steve Grossman, Jerry Bergonzi and the aforementioned Elvin Jones. He also formed the amazing jazz-Latin-funk band Stone Alliance in 1975 with Grossman and percussionist Don Alias. As an educator, Perla teaches music business at Lehigh University and the New School of Jazz and Contemporary Music. Perla recently released his first-ever recording as a leader titled Bill's Waltz, featuring nine original compositions written, arranged and orchestrated by Perla, with the help of some old friends. I recently caught up with Gene as he is preparing tours of Mexico and Europe with his current outfit, Fine Wine Trio. JEM:Thanks for taking some time for an interview Gene. For starters, I know you are originally from Woodcliff Lake, NJ. Tell us a few of your earliest musical influences, and how did you wind up at the University of Toledo before heading to Boston and Berklee School of Music? GP: My mom was a radio station suffer, so as a youngster, I heard all types of music. In high school, playing trombone and piano, I became enthralled with Ted Heath's big band. To lift poor grades, I did a post-graduate year at New York Military Academy. It was a great experience as I learned the meaning of discipline. Becoming an expert at spit shining shoes and coordinating numerous activities with others was great training. One of my classmates was from Ohio, and he told me that Toledo University was cool. I spent most of those years chasing girls and playing pocket pool - essentially, a goof-off. One night, I wound up visiting a local club where one of my fraternity brothers was performing with his group. Listening to them made me realize that I could do what they were doing, so I asked to join their band. They agreed. Not long afterward, I heard Bill Evans' Sunday at the Village Vanguard recording which provided the final push in pursuing a career in music. I looked around and found Berklee to be the only choice. JEM: You studied piano early on, but what or who inspired you to switch to the upright bass, and what was the biggest challenge for you in making the switch? GP: While at Berklee, I heard Ornette Coleman's The Shape Of Jazz To Come. I was quite disheartened thinking that I was never going to be able to reach what Bill Evans had established, and Charlie Haden's bass on that Ornette record, opened a window to a doable goal.The next day I switched to the double-bass. JEM:What was the first band you played in, and what would you consider to be your first “big break” as a professional musician? GP: My first steady gig was with the Los Muchachos, a typical Latin dance band which played six nights a week in several Boston clubs. It was here that I met Don Alias and began my understanding of Latin music. The “first big break gig” was with Willie Bobo in New York. In that group was congero Carlos “Patato” Valdes. He and I became tight friends, rooming together on the road, and hanging out in the NYC after hours clubs.It was a fantastic experience. JEM: How did you originally connect with the late, great Elvin Jones? GP: I sat in with Elvin, on piano, at the old Five Spot in the East Village, but I'm sure he wouldn't have remembered me. By chance, I was in the Berklee School lobby, visiting from New York, when WGBH-TV called in search of a bassist to fill in for a missing-in-action Jimmy Garrison. Without regarding the police, I drove to the station with my electric bass, in time to play a live set with Elvin and Joe Farrell. I was really flying by the seat of my pants, but I made an impression upon Elvin as I later heard that he told some cats in New York of his experience playing with this white guy who made the electric bass sound like an upright. When the next opportunity in the bass chair came up, he called me. JEM: It is such a treat to be interviewing a cat who actually took part in Miles Davis' Jack Johnson Sessions. I look at the personnel from those sessions and am stunned; (along with yourself, of course) Jack DeJohnette,Michael Henderson, Billy Cobham, Steve Henderson. Please, tell us anything you like about those 1970 sessions recorded in the heart of New York City! GP: I was Don Alias' guest at one of those sessions, and when Michael Henderson was very late in showing up, Miles asked me to play. I never expected that anything would come of the tracks that I was on, and I'm sure that Miles would have never allowed them to come out, but once your dead, the vultures swarm. So, if you listen to this strange line that I laid out, you'll see that it's pretty whacked. But, when Miles soloed, everything became right. JEM: What circumstances came about that led you to starting your own PM record label and what did you find to be the biggest obstacle in the early going? GP: David Liebman and I were appearing with Elvin's band in Toronto when David played a new recording for me of his Open Sky Trio (Frank Tusa and Bob Moses). He was dejected that he couldn't interest any record company to pick it up. Upon listening to it, and liking it, I decided right there and then to start a record label and release the Trio's recording. I broke my brain for the next six months getting up to speed on all the aspects of making an Lp. Things such as lacquer mastering, four-color separations and many other requirements was a pretty big learning curve. Upon achieving that plateau, I found it took a back seat to dealing with selling the product. Whew! Radio stations, reviewers, distributors, sales, accounting, contracts, royalties, licensing, etc. A bit later, I assisted Todd Rundgren at his Secret Sound Studio in New York City. He is, in fact, a wizard, and by watching him work I learned how to play a studio as an instrument. JEM: In 1971 you took part in a “John Coltrane Memorial Concert” gig that featured another stunning lineup; Elvin Jones, Chick Corea, Frank Foster and Joe Farrell, which later was released as the Elvin Jones album (on your PM label, of course) Live At The Town Hall. Can you tell us a fond memory from that gig or something that stands out? GP: Two things. This was the first time that I met Stanley Clarke (with McCoy Tyner) who followed our opening performance. I remember Stanley as such a young man, wide-eyed at the Elvin dynamo. When finished with our set, two stage hands came out to remove Elvin's drums, and upon doing so stopped and marveled at how Elvin's perspiration formed a mini-lake where the drums were placed.There was so much sweat that stepping in it caused a splash. JEM: In 1975 you formed the jazz-Latin-funk outfit Stone Alliance with drummer and percussionist Don Alias and saxophonist Steve Grossman, and went to Chile for a short U.S. State Department tour. How did that come about and did the band have a good sense of what direction you wanted to go in? GP: A few years earlier, I was able to arrange a State Department tour for Elvin's band which included Steve Grossman and David Liebman. From those connections I hooked up a fifteen-day tour of Chile. Upon our arrival, I became friendly with an official at the U.S. Embassy who helped me to telex requests to other South American countries. Turns out that our trip lasted six months, visiting five countries, and making two recordings with local musicians including Hermeto Pascoal. We had several more Central American countries to visit on the way back, but Mr. Grossman didn't want to leave Argentina until he could get his new girlfriend to marry him, which he did. The musical direction we were in was quite unique. I attribute this to the ability of Lungs (Alias) and I to slide from one feel to another seamlessly, since we both understood various styles. On top of that was Steve's searing saxophones. For Don and I (and many others), it was Grossman who was the primary force in carrying the Coltrane tradition forward. JEM: I would imagine that the Elvin Jones Jazz Machine title Truth,Heard Live At The Blue Note was your last recorded work with the legendary Mr. Jones. Any special thoughts or memories from that 1999 gig? GP: That was a tough gig for me in that I had quit playing music for over seventeen years as I followed other paths including establishing a family, teaching audio, starting a video production company, audio-designing Broadway shows, managing a New York A/V facility, and developing an Internet design and hosting company. pretty red faces during some of those sets, but, fortunately, the live recording turned out OK. I did get to play with Elvin one more time at a drum clinic in NYC on the Saturday after the 9/11 disaster. We played three tunes, just bass and drums. It remains one of my fondest memories of that great man. JEM: Your new CD release is your first as a band leader, which features drum tracks with Elvin recorded back in the 80's. Was it tricky to fuse these over 20-year-old-drum tracks with not only your fresh ideas, but also the advanced recording process of today? GP: The process included listening to the original tracks quite a few times and organizing the forms (sections, number of measures, etc). Except for "Popeye" (arranged by Bill Warfield) the other tunes are mine. The forms were entered into Sibelius, and in Paris, for a month, I worked on them in the original recording's sequence, with no preconceived ideas. Tools were a speaker-loaded keyboard and a Sibelius-loaded laptop, with headphones, and I arranged on the fly. Getting an idea caused the distribution of the instruments, harmonization, and when reaching that section's end, a search for the next melody. Originally I had wanted to catch many more of Elvin's attacks, but for the sake of brevity (ten tunes of BigBand over dubs in four days), I located, mostly, just the major markers. I didn't find the process that difficult except occasionally when getting stuck on relating melody and harmony. JEM: I have to ask why did it take so long for such an accomplished musician with such an impressive resume, to finally release his own album as a band leader, and what felt different to you about creating this release as a leader, and not just a player? GP: I've had wonderful experiences with many great artists, but, quite frankly, I've always viewed myself as limited in technical ability. I don't bow, play out of tune, don't know the instrument that well, never really practiced scales and arpeggios, but I've got a good beat and some pretty big ears that have covered up some my deficiencies. The most that I've been able to bring myself as being a leader is in group settings including Stone Alliance, New Light and, these days, the Fine Wine Trio. I would have preferred to make it an Elvin album, but I had hired him. Regardless, in my mind, it's his album. JEM: Thank you for taking the time to talk with me Gene. It has been a thrill to interview you and I look forward to our next talk. Gene has agreed to a second round of questions... because I haven’t even asked him about Frank Sinatra, Buddy Rich, Dizzy Gillespie, Stanley Clarke or Todd Rundgren yet!